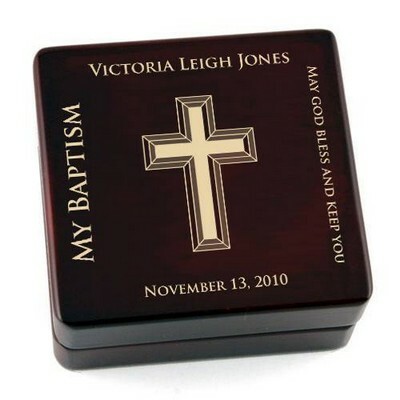 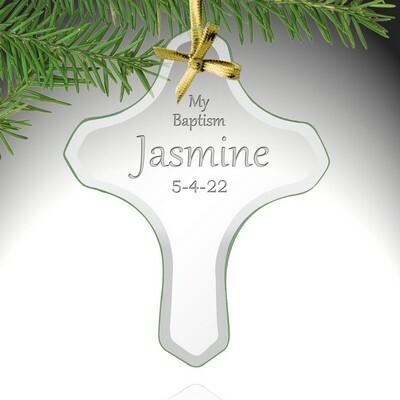 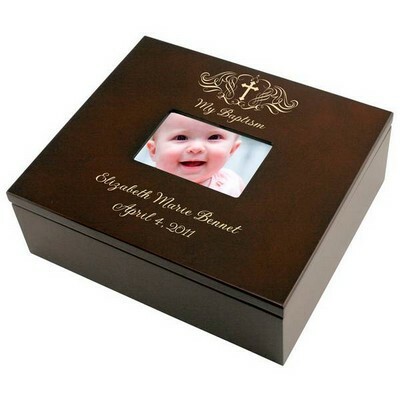 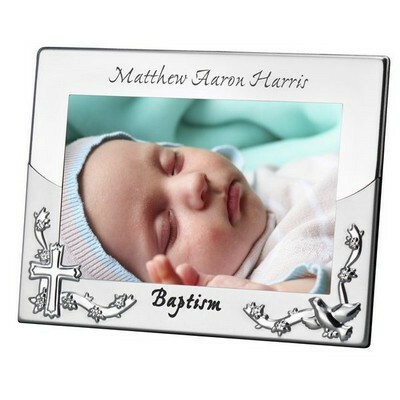 Commemorate the Baptism or Christening of someone special with this exquisite personalized baptismal shell which is used to carefully drip water on a baby’s head at baptism. 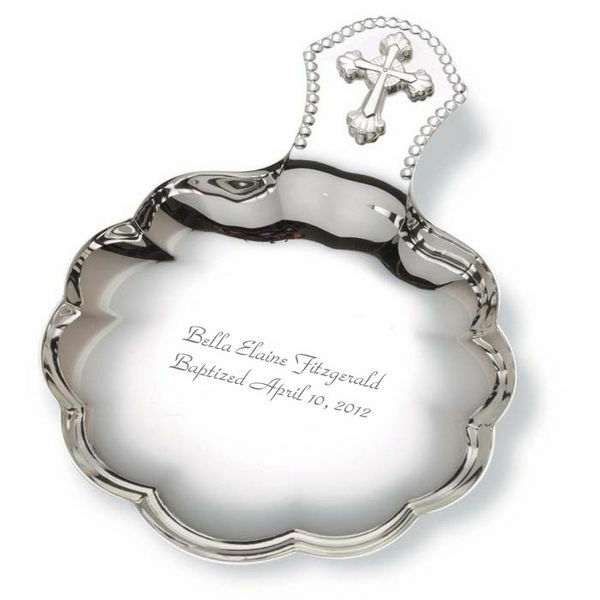 This silver plated customized bowl measures 4 3/4" x 3 1/2" and is featuring a cross design handle and beaded edge. 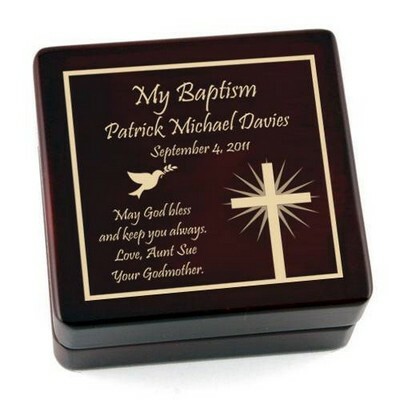 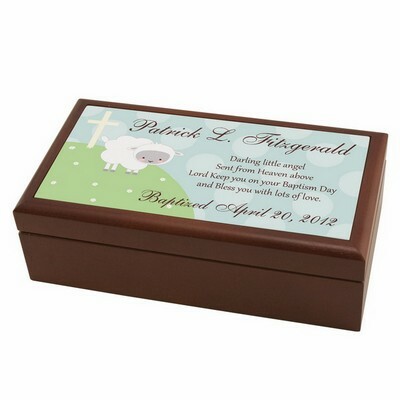 Personalize this item with up to two lines, which will be engraved onto the heart of the shell. 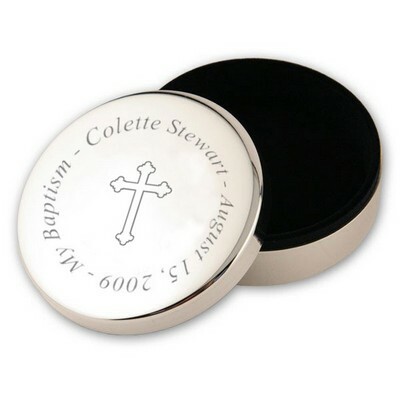 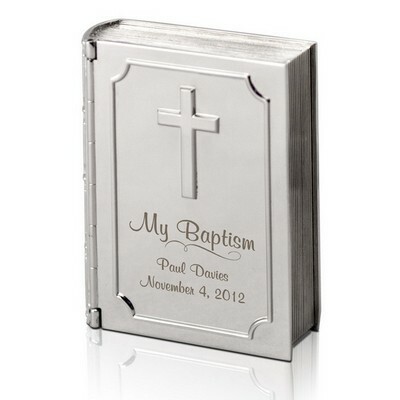 When choosing a gift for someone who's just been baptized or Christianized, definitely don't overlook this silver baptism shell that will be sure to impress and hold an important date in memory for time to come. 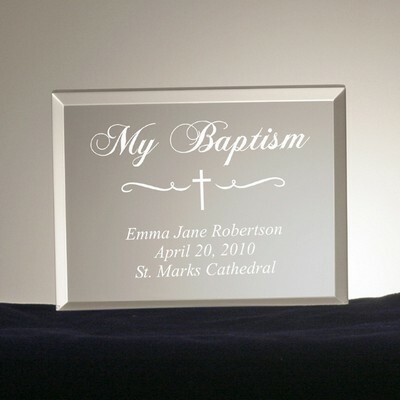 • Measures 4-3/4" x 3-1/2"
Comments: I recently bought a baptisms shell for my future godson with his name engraved on it and I couldn't be happier. 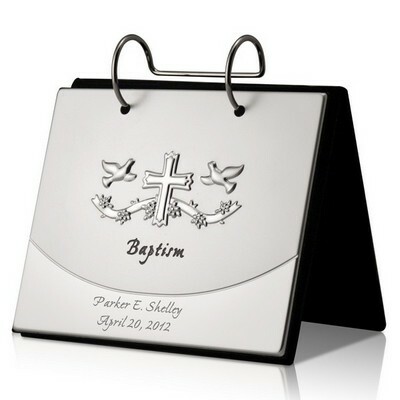 The shell arrived within 5 days and it looks great!